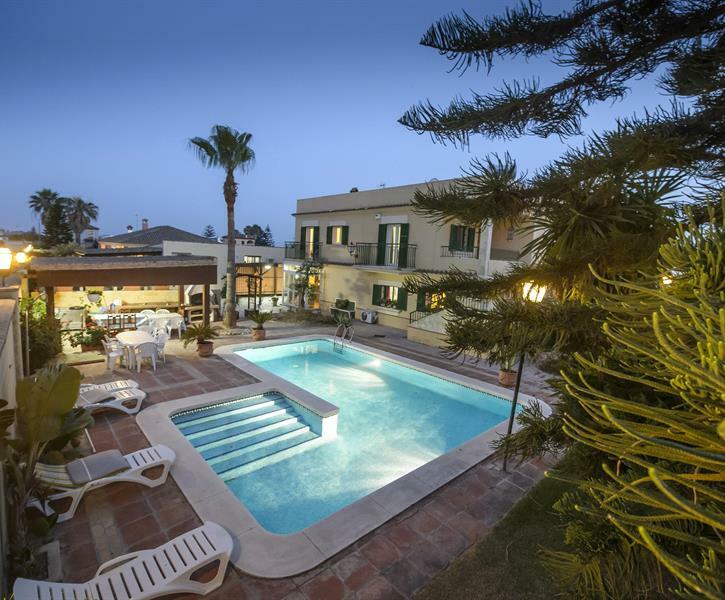 Villa andalouse, 200 meters from the beach, with a capacity of 18 people, plus 2 babies in a very quiet and secure area. Well what an amazing place. The villa itself needs a tiny bit of TLC but overall it was a fantastic place to stay. Has everything you could need and the owner and his rep were both amazing. Anything we needed was dealt with almost immediately and they even ordered taxis for us as our Spanish isn’t great. For English people looking at this please be warned the local area is very Spanish which made it even more special but does make it harder if your Spanish language is limited (Like ours) but google translate and a very helpful owner and owners rep made life a lot easier for us. I would recommend a car as some places hard to get to by foot and taxis difficult with the language barrier. The restaurants all close approx 5-8.30pm so if you have little ones be mindful of this. I would definitely stay here again and recommend to anyone. Beautiful villa and area with great attentive hosts. Fabulous stay in well equipped home. The pictures are accurate. Not luxury but comfortable with everything you need so good value. Wir hatten eine unglaublich tolle und entspannte Zeit in Rogers Fincas. Wir haben beide angebotene Häuser gebucht. Es ist alles vorhanden was man braucht auch wenn man mit kleinen Kindern reist (wir hatten ein 6 und ein 17 Monate Kind dabei). Der Garten ist einfach wunderschön und idyllisch und der Weg zum Strand und einer süßen Strandbad nur 5 Gehminuten. Wir haben die Zeit ungeläufige genossen und eine tolle Feier mit 23 Freunden organisiert für die uns Roger auch eine Paella organisiert hat. Unbedingt weiter zu empfehlen für große Gruppen oder mehrere Familien. Estuvimos cuatro matrimonios con nuestros hijos (en total 17 personas). La casa está en general muy bien. La parte interior bien y la exterior fenomenal. La piscina, jardín y barbacoa exterior son geniales!! !